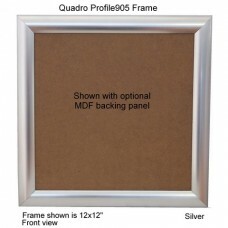 Complete set of Quadro Profile905 Frames. 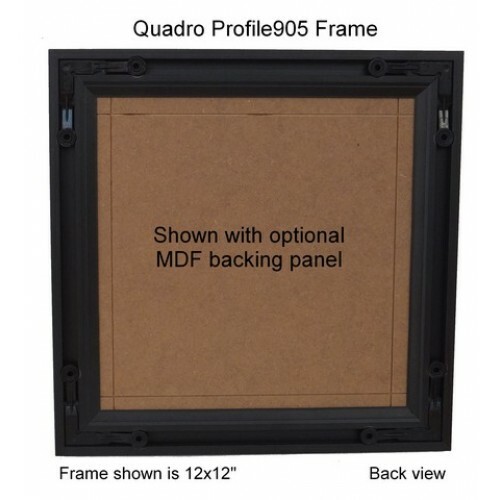 Exclusive side loading Profile905 picture frame molding system assembles quickly with perfect corner miters - no tools required! 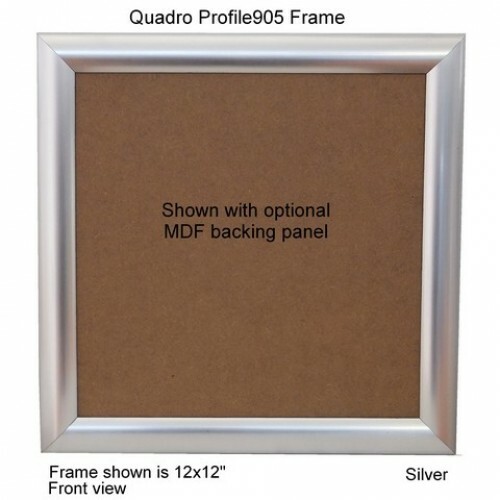 Choice of 1/8" thick MDF Medium Density Fiberboard) or 1/8" thick Corrugated Backing Panels. 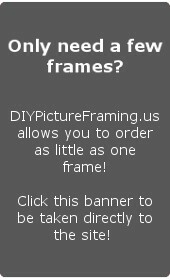 2mm. Float Glass Panels with Ground & Polished edges (Optically clear, 0.035" thick PET-G plastic available on select sizes).